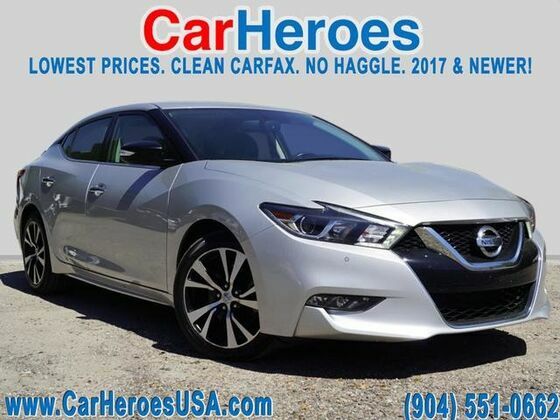 Contact CarHeroes today for information on dozens of vehicles like this 2018 Nissan Maxima SV. This Nissan includes: BRILLIANT SILVER CHARCOAL, LEATHER-APPOINTED SEAT TRIM *Note - For third party subscriptions or services, please contact the dealer for more information. * Your buying risks are reduced thanks to a CARFAX BuyBack Guarantee. This is about the time when you're saying it is too good to be true, and let us be the one's to tell you, it is absolutely true. You can finally stop searching... You've found the one you've been looking for.